Allows enhancing or inhibiting broad brain regions using noninvasive brain stimulation. High-density recording of electrical brain activity during MRI scans. 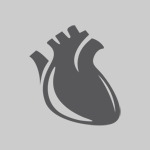 Recording of physiological responses such as respiration, heart rate, galvanic skin response. 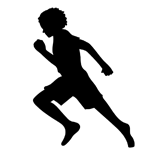 Records human movements with high resolution in 3D (largest non-commercial system in Canada). Precise localization of participants’ gaze and eye movements. Measures and graphs articulatory movements. 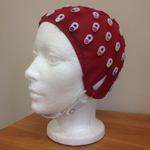 Recording of electroencephalography (EEG) data reduced sound interference. High-density recording of electrical brain activity. 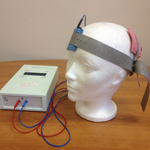 Recording of electroencephalography (EEG) data without electric or acoustic interference. Non-invasive brain stimulation in human participants. Stimulates the brain with magnetic pulses. Optical position system that allows real-time visualization of stimulation site. Recording of electrical brain activity during TMS stimulation. 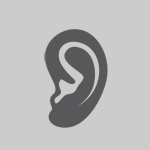 Examination of the ear canal and middle ear. Measures tympanum and middle ear function. Measures inner ear function through otoacoustic emissions (transient and distortion product emissions). 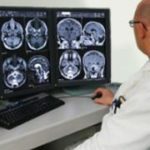 Centre members have access to two research-dedicated MRI (magnetic resonance imaging) scanners (1.5 and 3.0T) at the Montreal Neurological Institute. For more info please check the brain imaging centre site. 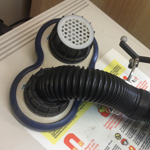 Centre members have access to a PET (positron emission tomography) scanner at the Montreal Neurological Institute. 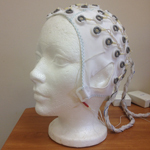 Centre members have access to an MEG (magnetoencephalography) system at the Montreal Neurological Institute.